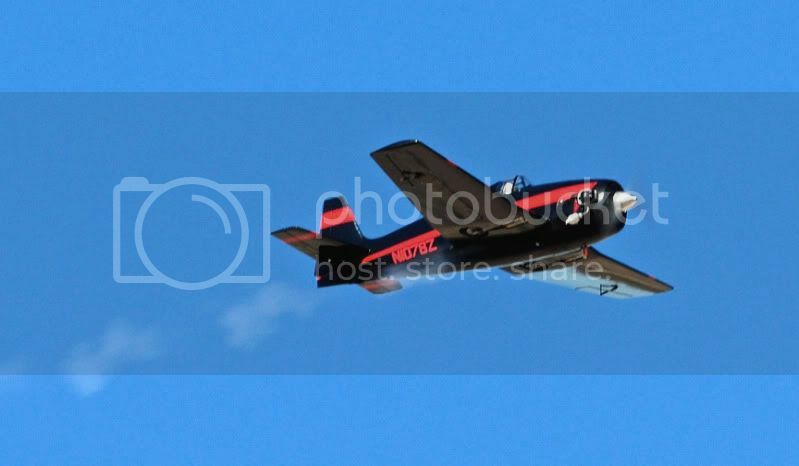 Now that Reno Air Races 2015 is almost here... any Yak-11 news? After many years dormant I am currently preparing to get back to work on my big Yak-11. Some minor issues were found with the plan which I have corrected and it is now available from Jerry Bates. A fiberglass cowl and the stock canopy will be available in the near future as well. I would like to have the Yak for competition next year but other projects that I am working on for customers will have to take precedence. Kevin Brade, who built the silver and green Yak seen elsewhere in this thread, has started construction of a second Yak for himself and I suspect we may see some construction photos from him in the near future. Last, but not least, I have enlisted the aid of a fellow builder to get my smaller Yak racer "Perestroika" ready to finish and I hope to have the airframe for that one back in a month or two. I would love to finish it up and have it ready for next year's flying season as well. Time will tell! 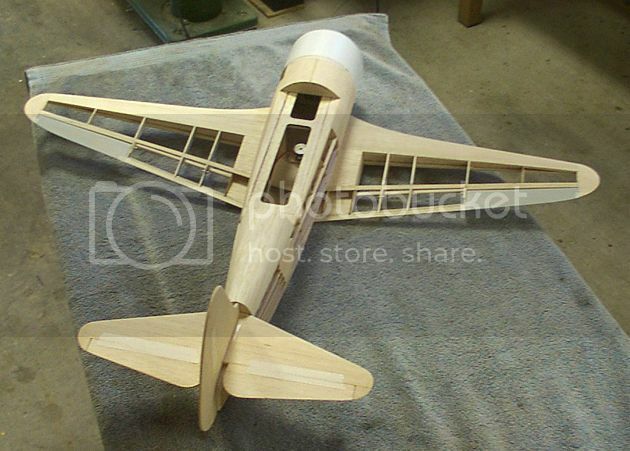 Here is the fully finished plan for the 1:4.5 scale, 82 inch span Yak-11 which is now available through Jerry Bates. There is much talk about enlarging the design to a full 1/4 scale and I have several builders ready to go if that happens. Last edited by fnlrun; 09-25-2015 at 08:12 AM. 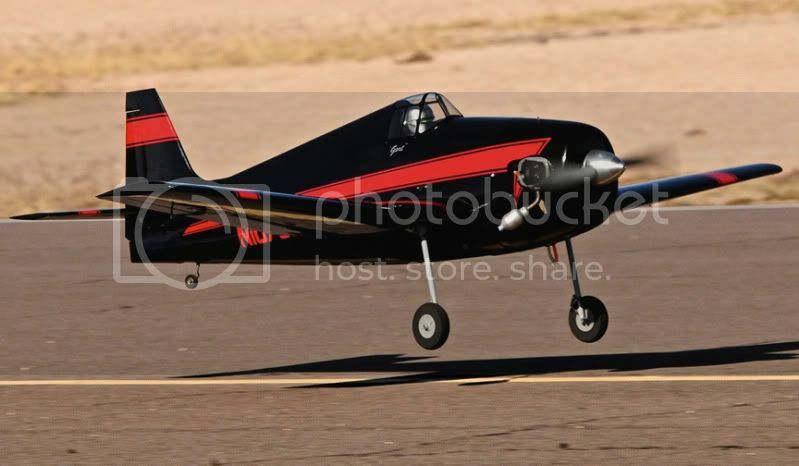 Neat little warbird racers fnlrun! Along with the 82 inch span model that is the subject of this thread I also designed a 66" span version for warbird racing. 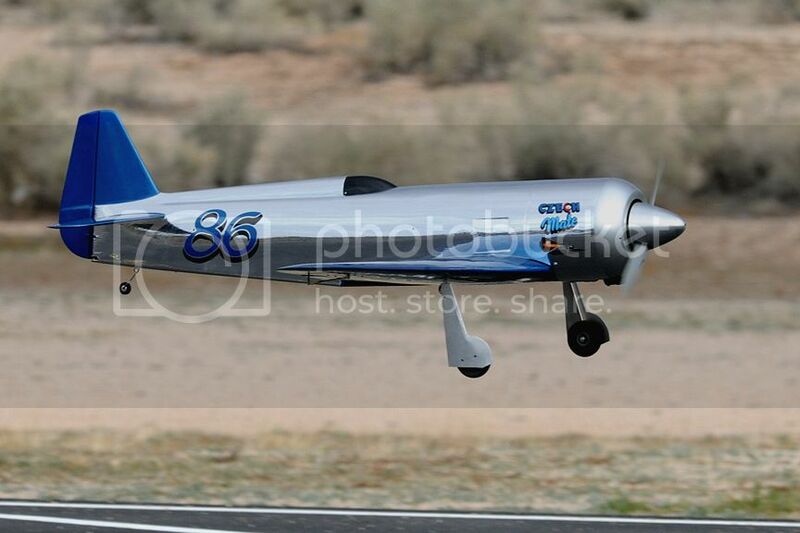 My good friend Robert Vogel built the prototype as "Czech Mate", seen below, which he races in the gold class using a massaged YS 1.40 for power. I have my own nearing completion which will be done up as "Perestroika" but only for sport flying, no racing for me these days. 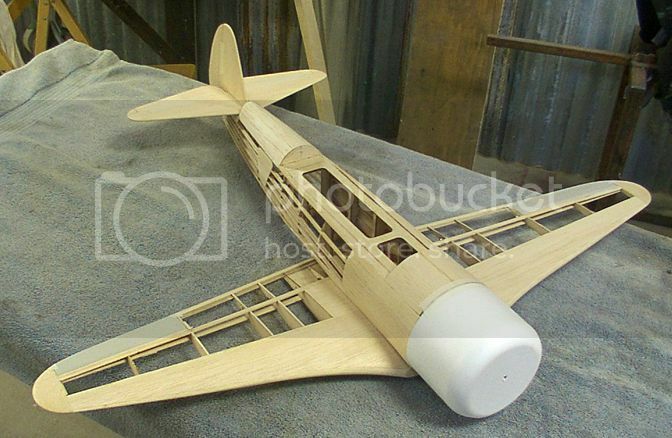 I have been contemplating scratch building a micro size foamie Yak-11 but just have not had the time to make any progress on it. Looks damn nice!! Mine are all the 50" wing. I really like the clipped wing because nobody else does it around here in our races. Both of mine will fly gold, but I like the Silver better. I will pass along the kudos to my friend Robert fnlrun. He is the consumate builder and all of his airplanes are exceedingly well done. I wish I had photos of some of his other racers. He has a scratch built "Critical Mass" Sea Fury that he raced for many years which is really outstanding. He is very happy with the way the Yak flies but it was a considerable amount of work to build so he has some hesitation about racing it. It's a big, expensive target to put up with a bunch of $100 ARF missiles that most of the guys are racing. He also built and raced a Hellcat which I designed, see below, and ran into the same issue with it. The Hellcat was YS 1.20 powered and ran in silver but he had an "altercation" with another racer on the course that resulted in the top of the vertical fin being clipped off. After that he decided it was not worth the risk and quit racing it! 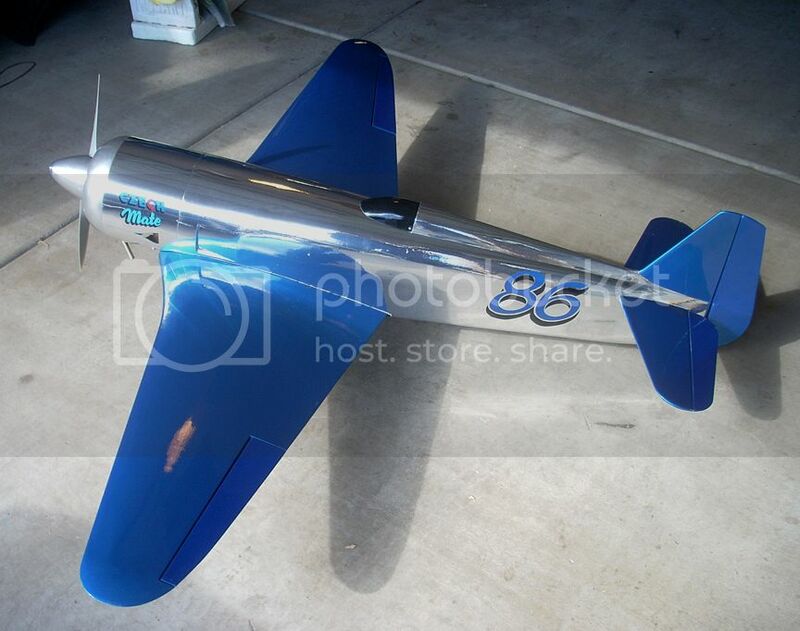 I ended up buying the airplane from him and am returning it to a more scale appearance for sport flying. I was working on the design for a 55" span Yak-3 for him as it is a much simpler fuselage to build but he has kind of moved away from warbird racing over the last couple of years. I've not raced in many years as my interest leans much more towards building and flying scale. That Hellcat is beautiful as well. Fortunatly for us, everyone is racing the same amount of $$$. SO were all well aware of where each plane is in the sky. Midairs do happen but not very often. I just painted a Corsair I bashed (50 size Hangar 9) in the LANCERS TWO paint scheme. The masking and paint go on tomorrow. This was my first bash, I prefer to build my own but I'm VERY pleased so far. Plus the plane flies great so it's a win--win. Looks good in all sizes Wasn't there a pretty small one too? There have been a couple of smaller ones but you are probably referring to my 38" span "baby" Yak-11. I designed this one for electric power and hand launching. I got it built as far as you see here and then gave it to somebody else who promised to finish it and provide a flight report. I have never heard back from him! Oh well, I may do another one some day. Would be no problem to add retracts to it nowadays too. 38" span "baby" Yak-11. I designed this one for electric power and hand launching. Would be no problem to add retracts to it nowadays too. Yeah, you are probably right perttime. Problem is we have a severe shortage of both here in Phoenix, Arizona! No problem AT ALL in regards to the snow! Wouldn't mind having a bit more grass around the place though. I've heard people in places with little grass mention that it sometimes gets a little warm and dry. Hello Chad. Just seeing if there was any updates on the cowl and canopy for this fine bird. I see the plans on Jerry's site just no mention of the parts. The first gent who offered to form the cowl has not been able to come through due to an extremely busy schedule so I have enlisted the expertise of Vic Catalasan in SoCal to do the job. He does all my other cowls and the Yak will be a no brainer for him. I've got the cowl plug just about finished, only needs a couple of panel lines and it will be headed to Vic. As for the canopy I've made a good start on the plug for the front windscreen and the rear portion will be next. The sliding sections as well as the fixed middle section are all just flat rolled sheet and I have not decided whether I will mold those or just let the builder make them from sheet stock. Progress is slow but steady and everything will be available in the not too distant future I hope. Thanks for your inquiry! I would like to buy a set of these plans. Are they still available? 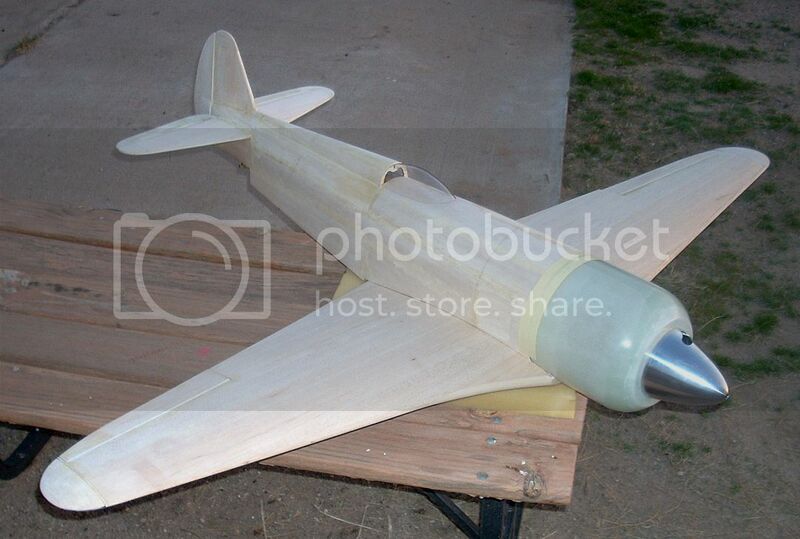 The Yak-11 plans are available through Jerry Bates Plans, see link below. Thanks for your interest!